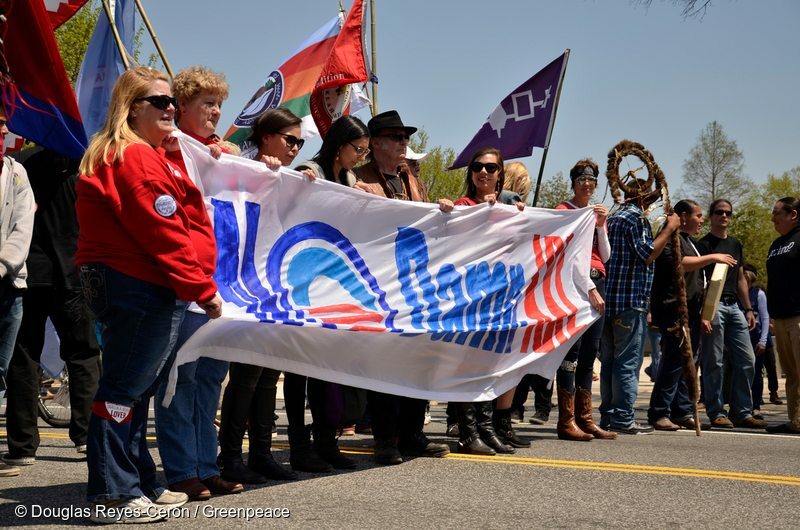 Keystone was the fight that couldn't be won — until it was. If you've ever doubted the power of grassroots resistance to overcome corporate greed, doubt no more. The Reject and Protect alliance delivers a community-crafted tipi to the Smithsonian National Museum of the American Indian in a protest against the Keystone XL pipeline in April 2014. An earlier version of this article was originally published by Greenpeace Canada. Nelson Mandela once said “it’s always impossible until it’s done.” I never knew truly what that meant until two weeks ago, when President Obama echoed the words that so many of us have been saying for years and rejected the “done deal,” “no brainer” Keystone XL tar sands pipeline. Keystone was a fight that no one thought we could win. Every energy analyst, every journalist and every politician reacted the same way when the pipeline was first proposed — they’d either never heard of it or thought its approval was a virtual certainty. And they would have been right if it wasn’t for the power of people. More than 40,000 people gathered by the Washington Monument to demand President Obama reject the Keystone XL pipeline at the 2013 Forward on Climate Rally. The #NoKXL movement started with indigenous and Metis communities on the frontlines raising concerns about the disastrous effects the tar sands were having on their water supply, their traditional territory, their rights to land and title and the health of their communities. It expanded as pipeline routes became organizing maps. Ranchers and farmers learned to work with indigenous communities and came together to protect the heartland of America. They carved pumpkins, raised solar powered barns, planted sacred corn and were the first to get President Obama’s attention. 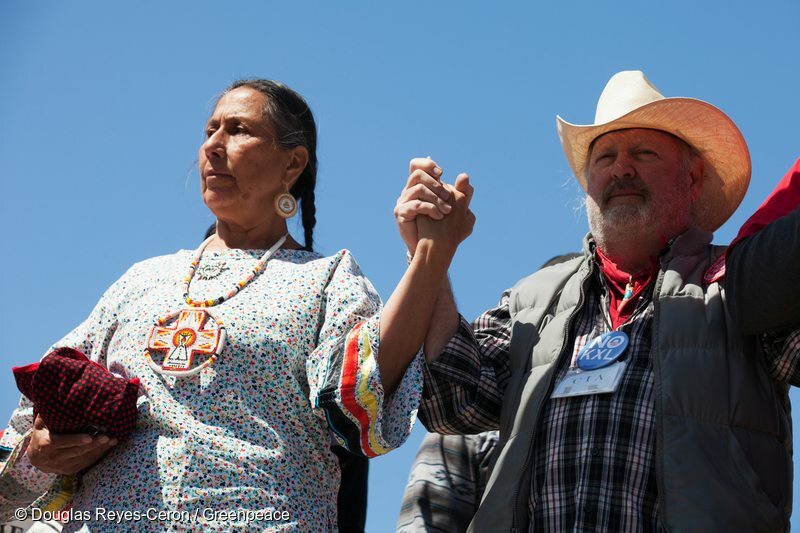 The Cowboy Indian Alliance formed when indigenous groups and rural communities joined in solidarity against the pipeline. On their heels, the U.S. climate movement began its ascendance. At a time when it seemed like no one cared, climate activists came to the White House in the hundreds and sat down to protest the pipeline and continued inaction on the climate. Each day they were arrested, and yet each day more and more came. At the end of the two weeks, 1,253 people were taken away in handcuffs and a spark had been lit that would never be extinguished. 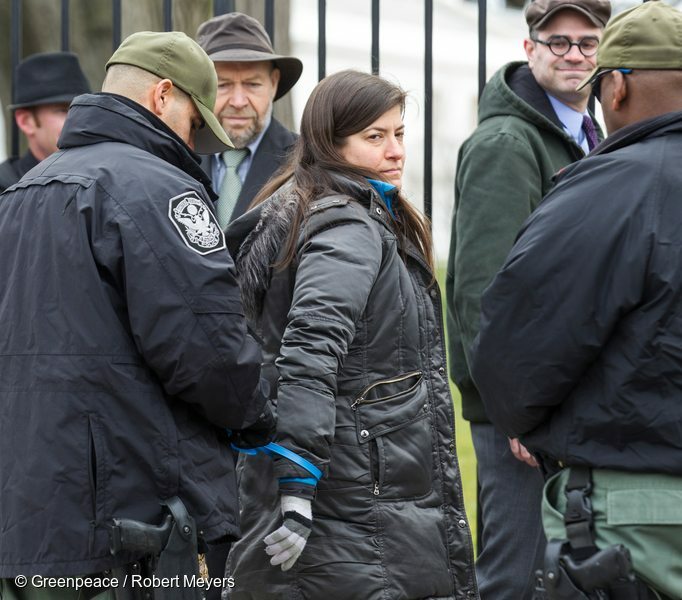 Activist Jessica Roff was one of thousands arrested at the White House fence while participating in a non-violent protest against the Keystone XL Pipeline. With each year, Keystone opposition grew stronger. In November 2011, 15,000 people came to surround the White House. In February 2013, 50,000 went to the Forward on Climate Rally to urge President Obama to reject the pipeline. In April 2014, farmers, ranchers, and indigenous groups rode on horseback together through the streets of Washington, DC into the National Mall. And in September, more than 400,000 people spilled into the streets of New York City as part of the People’s Climate March. It was the movement we had been waiting for, and it’s one that keeps building. When President Obama announced the rejection, we celebrated not just because another tentacle of the tar sands had been cut off, but because it showed us how powerful people truly are. It reminded us that when people come together — backed by science and working for justice — we can indeed move mountains. 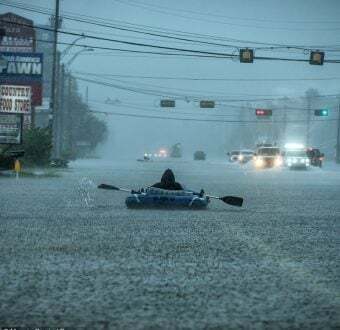 With Keystone, we showed the world that fossil fuel companies can be stopped, that oil profits don’t always win out and that is gaining the voice it so desperately needs. Friday’s victory isn’t the end of the road, but our chance to double down on the opposition and one up the solutions. If we want to take our world back we need to be the ones to do it. It’s up to us to get involved, to work across issues and divides, and build movements strong enough to make the changes we need. It may seem impossible, but if Keystone showed us anything, it is that we are the doers of the impossible. 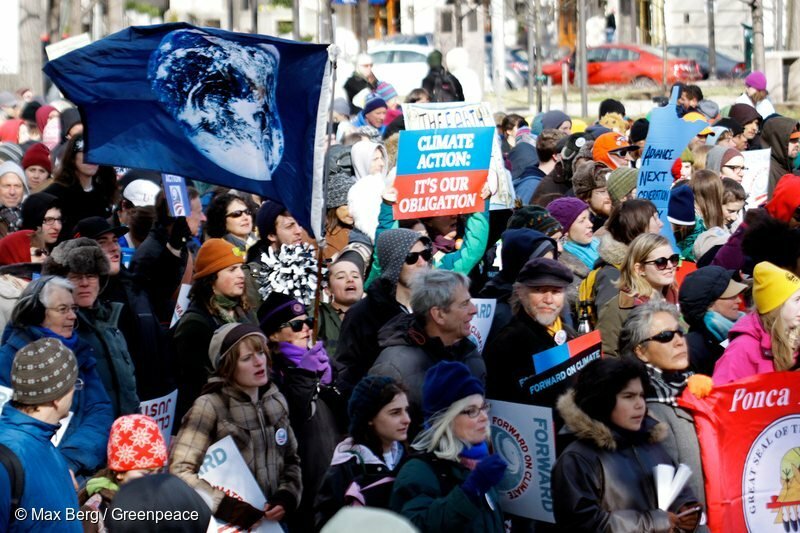 Tell President Obama to take the next step and keep ALL fossil fuels in the ground! 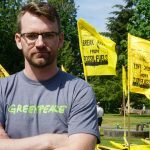 Mike Hudema has been a longtime creative activist in Edmonton and beyond and is currently a climate campaigner with Greenpeace Canada working on issues like tar sands development and renewable energy.